NORMAN, Okla. — An Oklahoma man accused of beheading a co-worker was convicted of first-degree murder on Friday for the 2014 attack that one witness said was "something that people shouldn't have to see." Investigators said Nolen had just been suspended from his job when he walked into the company's administrative office and attacked Hufford. Authorities said Nolen stabbed another co-worker, who survived, before he was shot by a company executive. 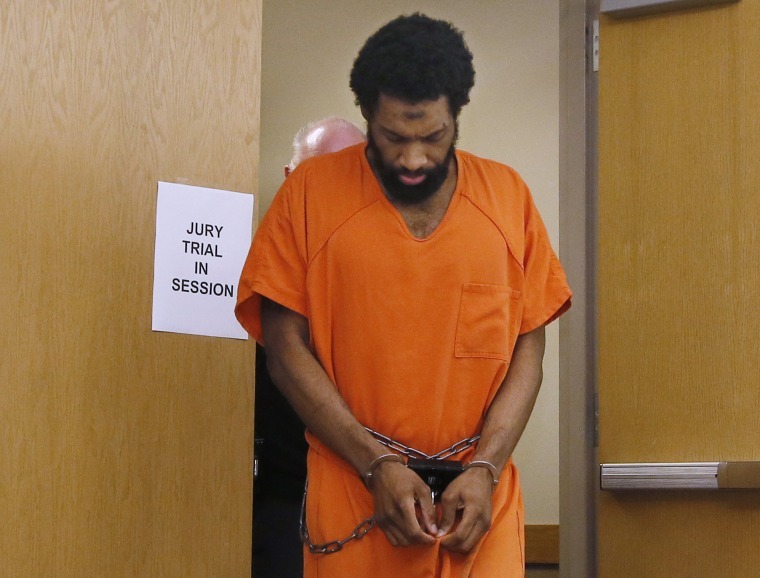 During the trial, prosecutors played recordings of Nolen confessing to the stabbings. In the recordings, which were while Nolen was hospitalized after the 2014 attack, Nolen says he doesn't "regret it at all" and that "oppressors don't need to be here." Nolen's attorneys say he's mentally ill and believed he was doing the right thing because of his delusional misinterpretations of the Quran. But prosecutors said Nolen knew right from wrong before he attacked Hufford. Nolen had repeatedly tried to plead guilty and asked to be executed, but Cleveland County District Judge Lori Walkley declined to accept his plea. One of Nolen's attorneys had questioned whether his client was mentally competent to enter a guilty plea. A witness who testified during the trial said Hufford was "completely surprised" when Nolen came up behind her, pulled her head back and drew the knife across her throat. Gary Hazelrigg also told jurors that he screamed and cursed at Nolen during the attack and tried to pull him off Hufford. "I was looking at something horrific — something that people shouldn't have to see," Hazelrigg said.